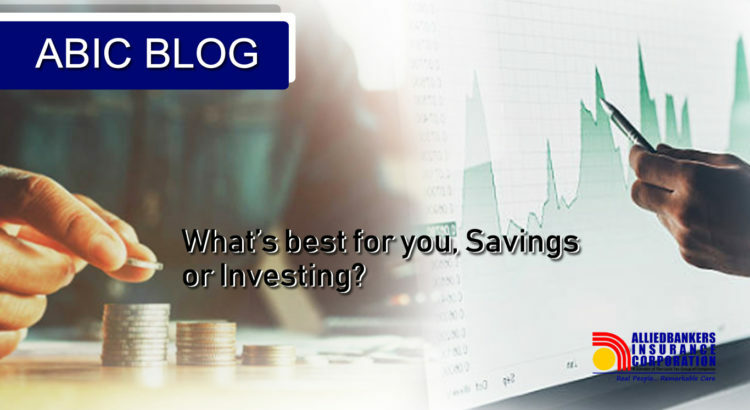 A lot of youngsters do not have a clear understanding about the difference of saving money and investing money. In fact, investing and saving have totally different purposes and roles in a financial strategy. Making sure that you are enlightened on this fundamental concept is very important because it can save you from a lot of headaches and stress. Maybe it is now time to learn the differences between these two. It is the process of putting your hard earned money aside which can be used or liquidated during rainy days. This can include checking accounts and saving accounts. Above all, this money must be within your reach instantly no matter what situation you are in. This one is the process of you using your cash or capital, to buy an asset that you think has a good probability of generating a good rate of return, making you earn profit even if it takes years. It may apply to different kinds of industries like stocks, real estate, bonds and even in the food business. HOW MUCH DO I SAVE AGAINST HOW MUCH DO I INVEST? The saving money part should always come first before investing. Think of it as the foundation on where your financial structure is built. The logic here is simple. Unless you inherit a great amount of wealth, then it is your savings that will give you capital to feed your planned investments. Get it? As a general rule, your savings must be enough to cover all your personal expenses, including your mobility, loan payments, bills and your lifestyle. That way, you’ll be able to sustain your daily cost of living even if let’s say you’ve hit a setback. However, it would be wise to always live within your means and be practical at all times. When things are all in place then that is where insurance comes in. The purpose of this is to protect the assets that you have invested in. For example, your new home, your car or your building or business. It will never hurt for you protect yourself against unforeseen circumstances through personal accident insurance. So when it comes to that, always make sure that you pick the right insurance company. Choose the one that gives the services that you need like Comprehensive Car Insurance, Property Insurance, Travel Insurance and even Personal Accident Insurance with Pangkabuhayan Assistance like Alliedbankers Insurance Corporation. Know more about us by visiting our website at www.alliedbankers.com.ph or call us at (02)243-0075.